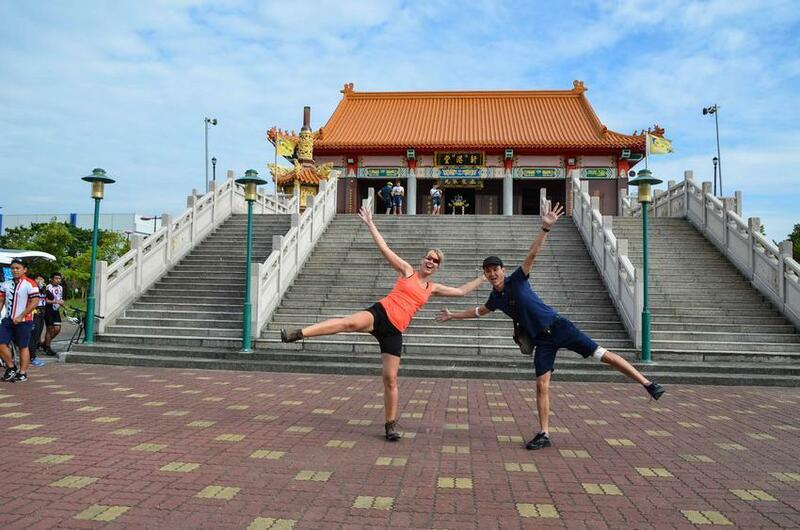 If you are searching for an extraordinary experience, follow this Taiwan itinerary that takes your around the island on the seat of a bicycle in 9 days. 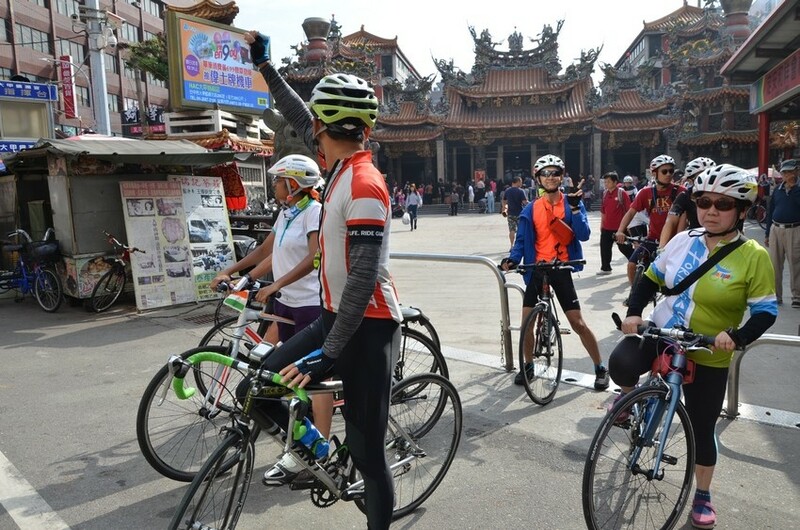 Sport enthusiasts in Taiwan say that there are three challenges one should attempt in one’s life – swimming across Sun Moon Lake, climbing Yushan (Jade mountain, 3,952 m) and doing a cycling tour around Taiwan. Even though the island is quite small and compact, the third challenge is definitely the hardest. 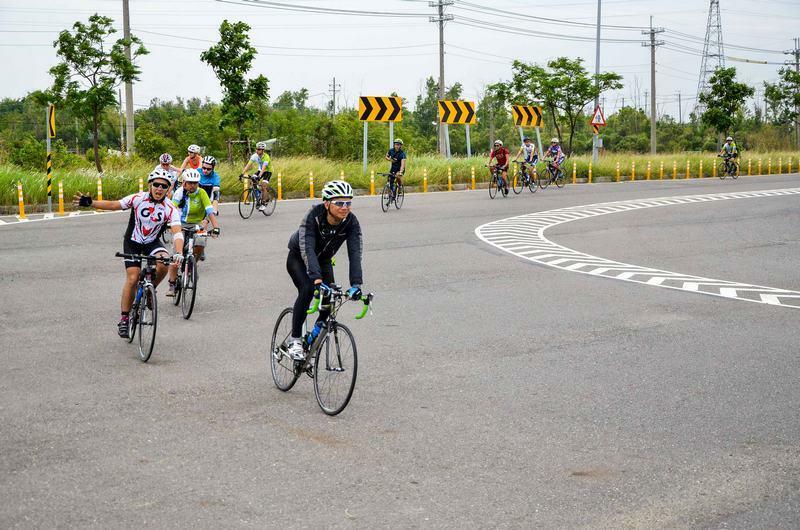 I recently took part in the cycling festival Formosa 900 and enjoyed this crazy experience of cycling around Taiwan. In this article, you can find my complete Taiwan itinerary, which I hope helps you to plan your own trip. 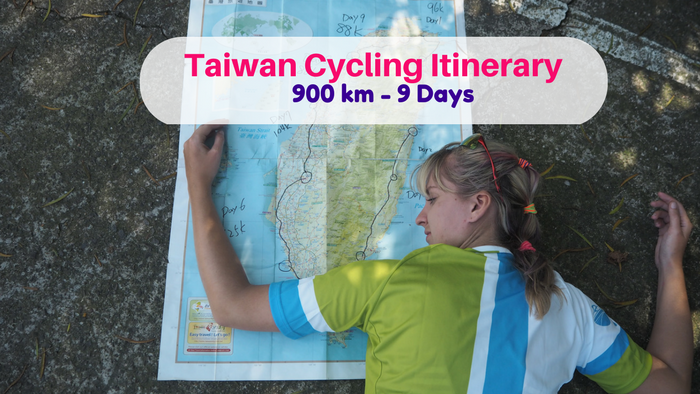 Check out also my other post: Cycling Taiwan: How To Plan Perfect Trip. 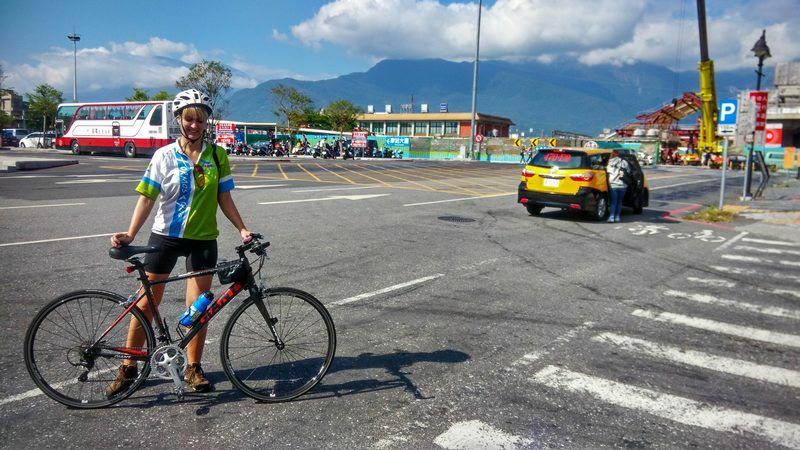 What should you expect from the first day of Cycling around Taiwan? On the very first day, you will have to find your way out of Taipei. It’s better to plan your route carefully so that you can avoid busy main streets as much as possible. 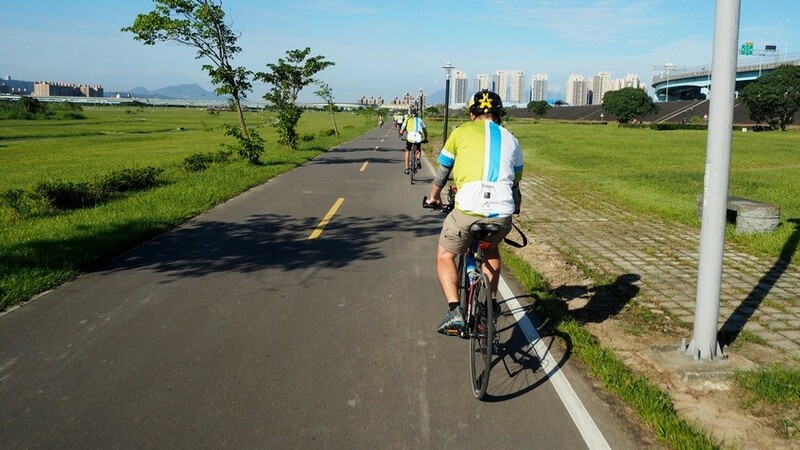 Try to stick to as many of Taipei’s designated cycling paths as possible (there are more than 100 of them, many of which are along the river, and they are spectacular). Planning to stay overnight in Taipei? 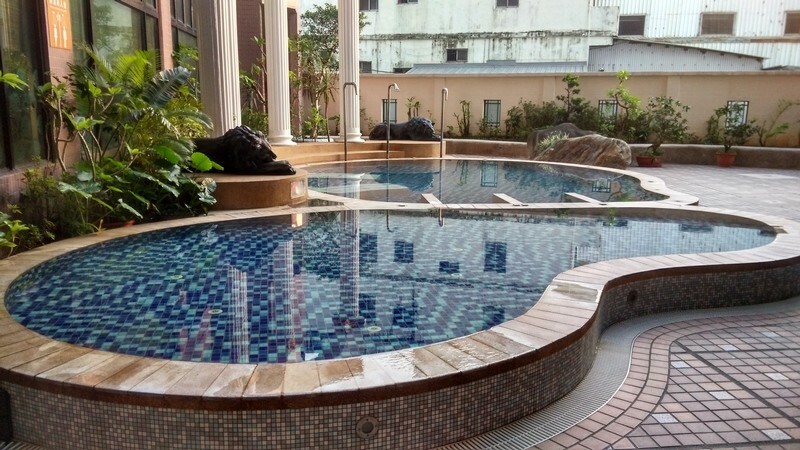 Check my other post about hostels in Best Hostels in Taipei. Facing some of the first hills just after leaving Taipei, you will make your way towards the coast. The bikeway near Fulong is by far the best part of the day; you will be cycling directly along the beach and will want to stop at a couple of spectacular viewpoints. There is also one railway tunnel to pass through (Old Caolin Tunnel). 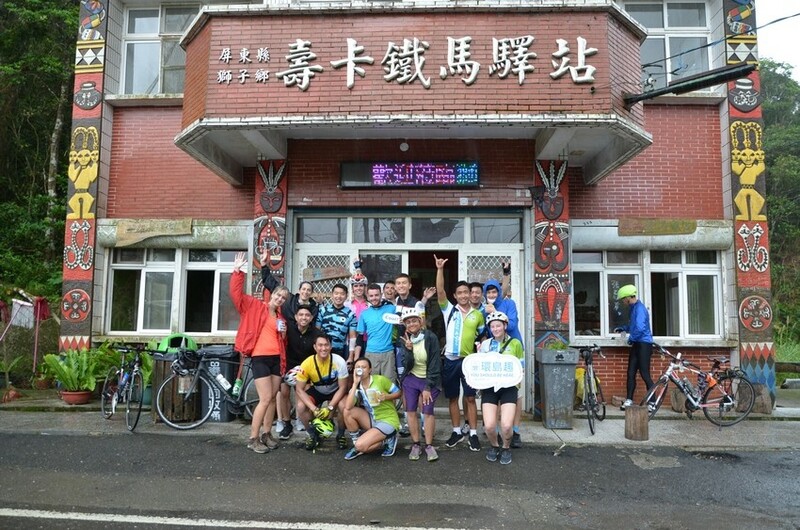 The route ends in Jiaoxi, a small town known for its hot springs. We stayed in Sun Spring Resort, which features both mixed and gender segregated spa areas. It’s the very first (but definitely not last) opportunity to try hot springs on this journey. 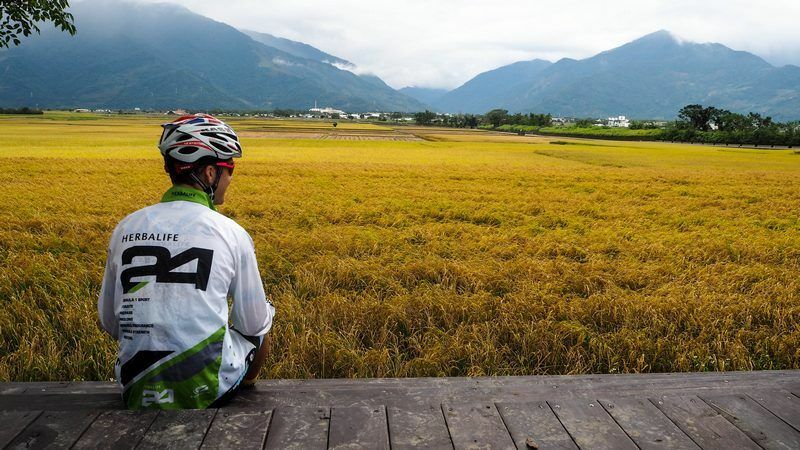 What should you expect from the second day of Cycling around Taiwan? 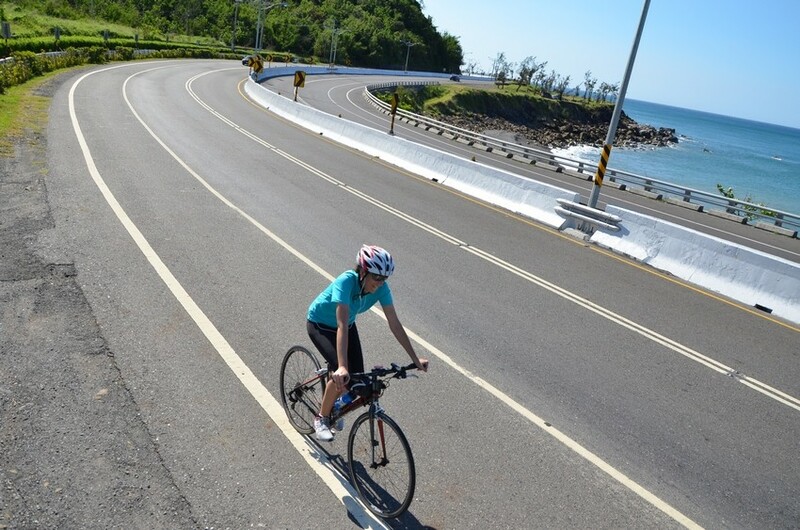 Cycling around Taiwan is all in all very safe, apart from one dangerous part: the scenic but tricky Suhua Highway with mountains on one side and steep cliffs on the other side, leaving limited space for both cyclists and many, many trucks. 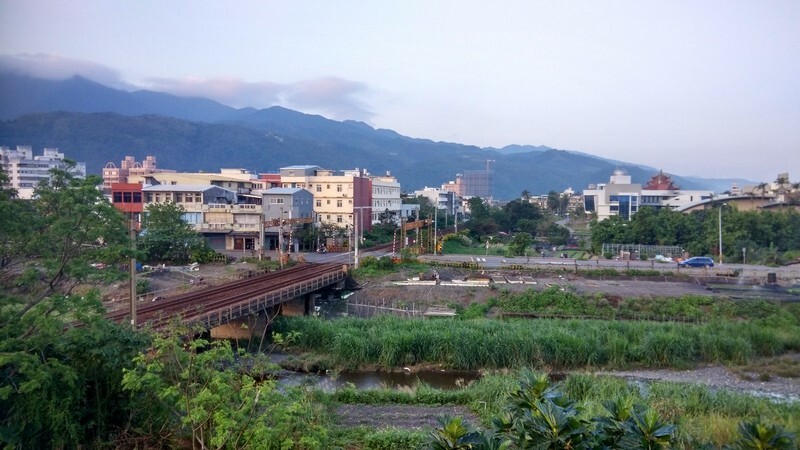 Taking the train from Jiaoxi to Hualien is something I highly recommend. We were very glad we did this. Even after the train ride, there is 87 kilometers of cycling left. I am sure you will love the scenery! Right from the beginning in Hualien there are always high mountains on the right side (the Central Mountain Range). The further you go, the more beautiful the sights are. Enjoy! The second night comes with another hot spring opportunity – and since Ruisui is pretty small, there is really nothing else to do there. The hot spring water here is unique; it’s the only sulfur hot springs in Taiwan. My accommodation had no hot springs, so I went to Rui Xiong Hot Spring Hotel to have a dip. 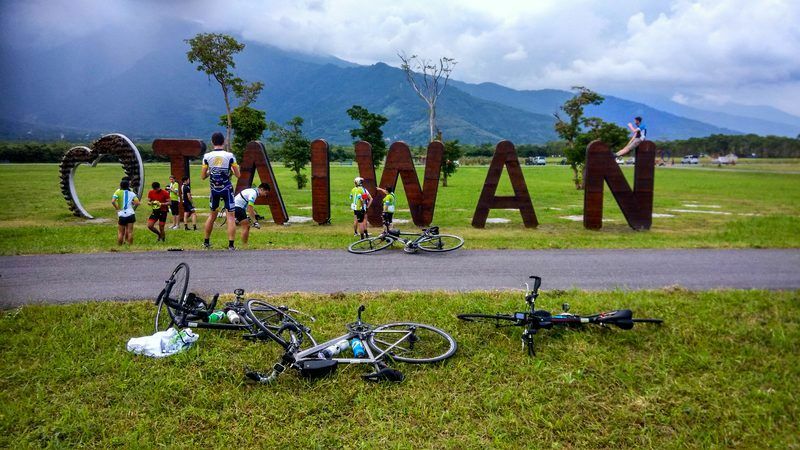 What should you expect from the third day of Cycling around Taiwan? The third day was by far my favorite bit of this Taiwan itinerary – you can look forward to some of the best scenery on the entire trip. The route continues via the green and fresh East Rift Valley, with spectacular rice paddies all around you. The route is for cyclists only, so there is no need to worry about traffic. The land is flat and yet flanked by mountains on either side (Central Mountain range on the right and Coastal Mountains on the left), which makes the entire region incredibly photogenic. Later the route continues along the Pacific Ocean, which is also beautiful in its own way. This will be the third day in row you have the possibility to relax your muscles in rejuvenating hot spring water. I recommend Toyugi Hot Spring Resorts & SPA where we stayed, as it has really large and convenient hot spring facility. It was my favorite resort on the whole trip. 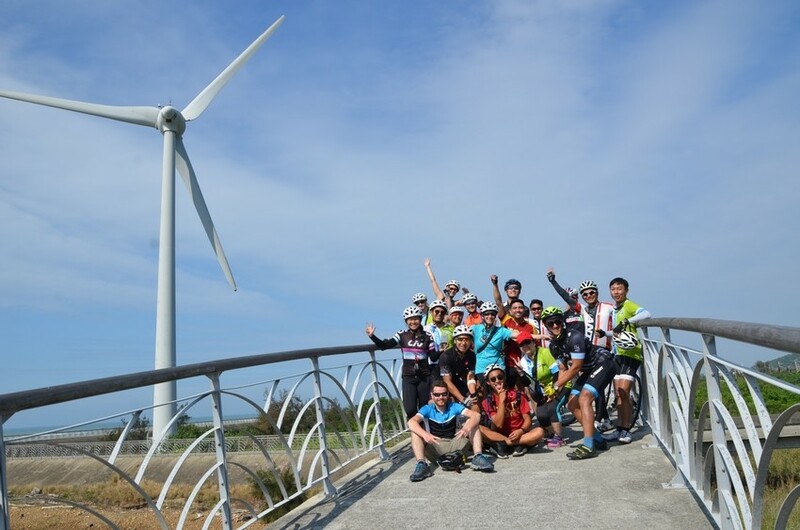 What should you expect from the fourth day of Cycling around Taiwan? 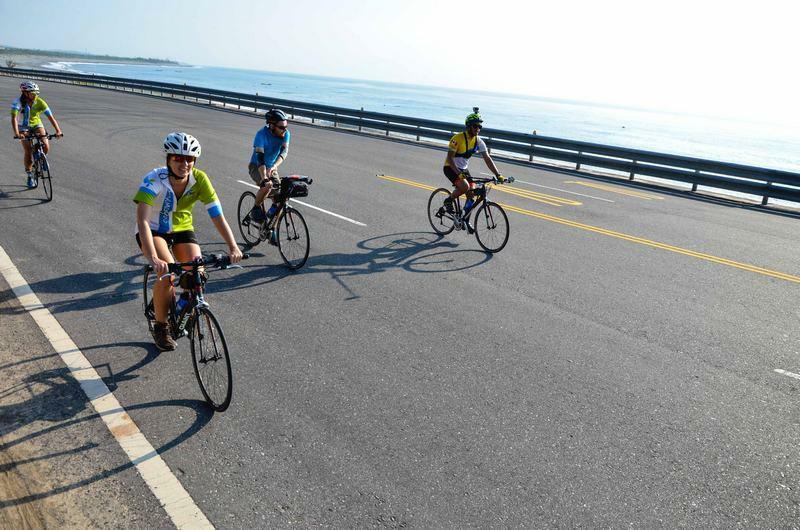 You will be cycling much of the day along the East Coast. There are some rolling hills ahead but the breeze you can feel when going downhill makes it all worthwhile. There are lots of stunning cliffs and ocean views on the way. Try to pace yourself – it’s long and perhaps the most tiring day of the trip. There is one hard 12-kilometer ascent leading towards the popular biking stop Shouka (455 meters above sea level). Later it gets easier, passing by several quiet aboriginal villages (you can recognize them by their colorful paintings on the houses). On that night we slept in Boutix Resort Hotel. At that point, we had traversed most of the length of Taiwan from north to south, 400 kilometers in 4 days. I was super tired – there wasn’t a muscle in my body that was without pain. 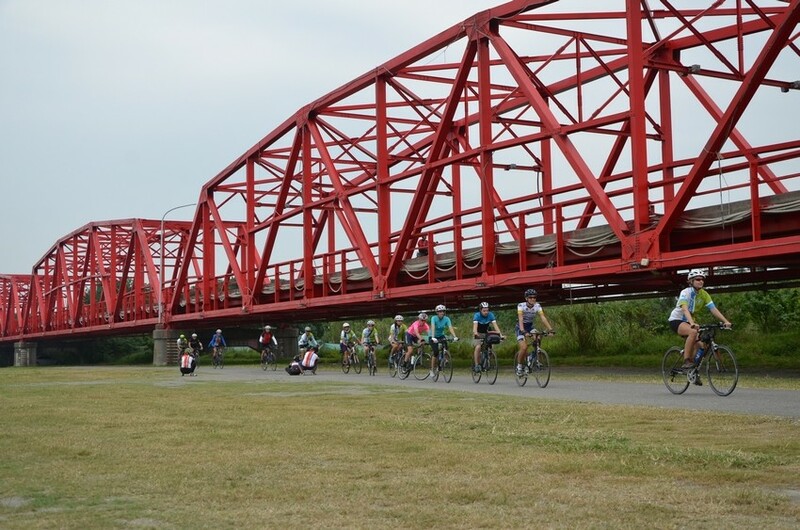 What should you expect from the fifth day of Cycling around Taiwan? 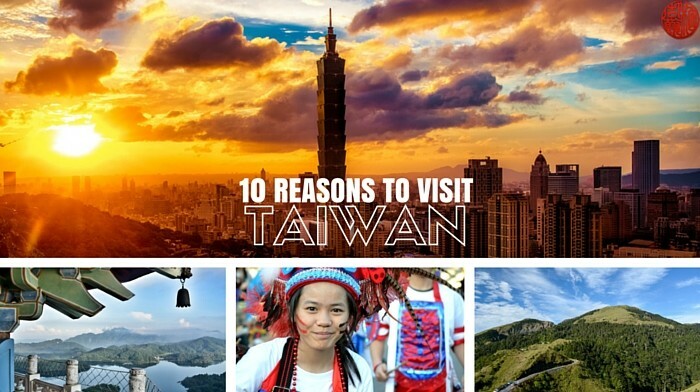 Today you will experience some interesting parts of southern Taiwan. Hopefully the ocean views are not accompanied by strong coastal winds – it was really hard to pedal against it. There are lots of ocean views but unfortunately no time to hit the waves (Kenting National Park has some of Taiwan’s best beaches). The route is quite flat, but rather long – especially taking into account all the kilometers that you have already put behind you in the last few days. 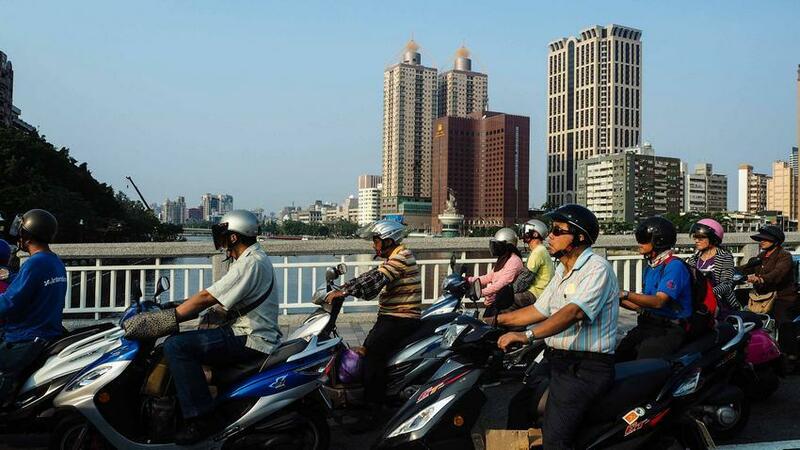 Enjoy the last moments in nature and quiet roads before reaching the “scooter jungle” of Taiwan’s second largest city. 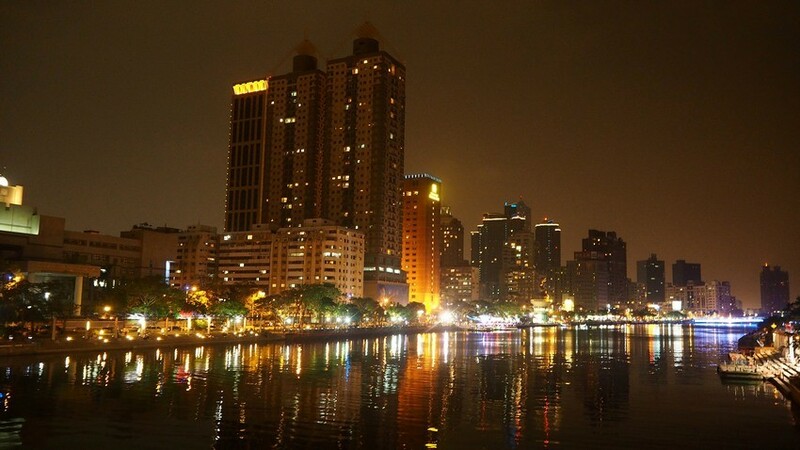 Kaohsiung is pretty much the first place worth going out at night in on this itinerary – check out the Love River or the Lotus Pond, with its backdrop of iconic pagodas. There are a couple of famous night markets where you can sample many of Taiwan’s classic street foods and a lot of dining options in general. Good places to stay are Fullon Hotel Kaohsiung and Legend hotel. 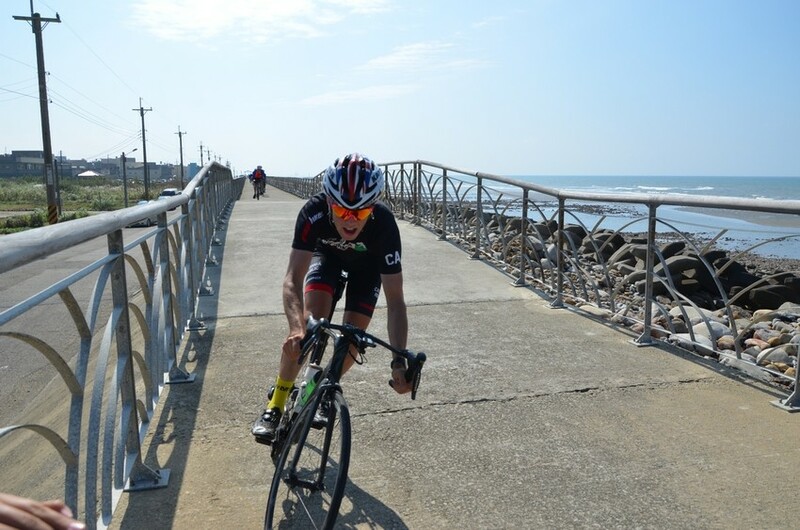 What should you expect from the sixth day of Cycling around Taiwan? Sometimes it is hard to find motivation to continue cycling – especially when the route is long and monotonous like on this day. Day 6 is all about urban environment, lots of scooters, and traffic lights. It’s really much different than the wild east coast – western Taiwan is home to 90 percent of the island’s population. 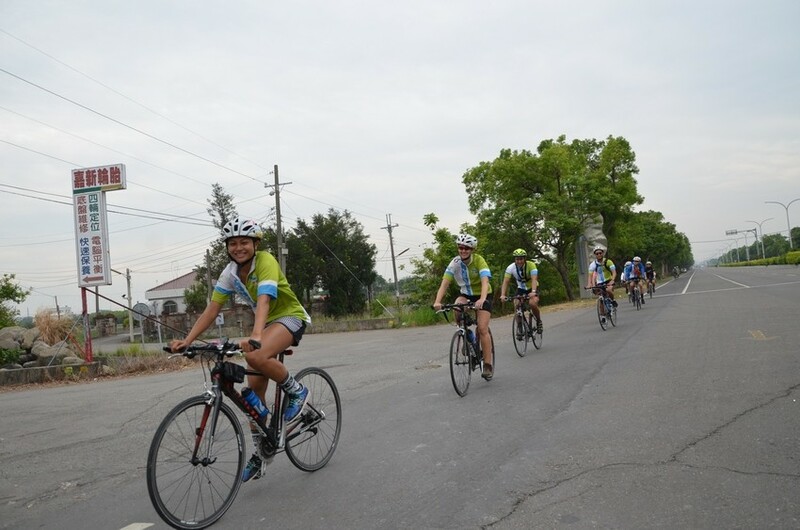 Cycling through these cities is challenging – I was staying near the leader our group who had a whistle and often used it to let the cars know that our group was approaching. If you travel on your own, you’ve got to be extremely careful. In Chiayi we stayed in Day Plus Hotel, which has no hot springs but the design is quite nice. 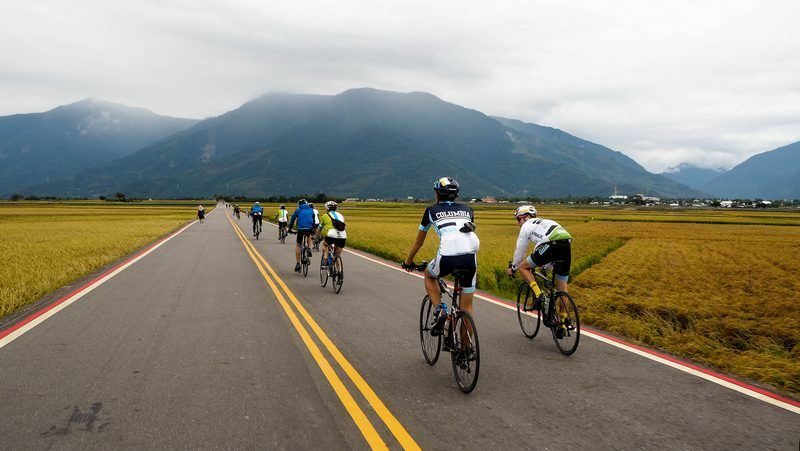 What should you expect from the seventh day of Cycling around Taiwan? Just keep on going J Day 7 will bring a bit of fresh greenery and countryside. You will get some fresh air and leave the scooters behind for a while. On the way, you will cross Xiluo Bridge, which really stands out from the environment. At the time of its completion (1953) it was the second largest bridge in the world, after the Golden Gate bridge in San Francisco. 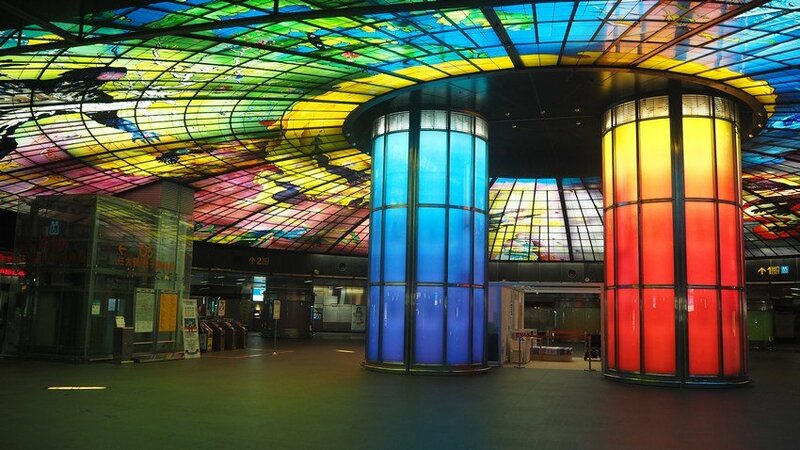 The route leads to Taichung, another big city with lots of nightlife and dining possibilities. If you have energy left, you can go out. We slept in elegant Taichung Harbor Hotel. 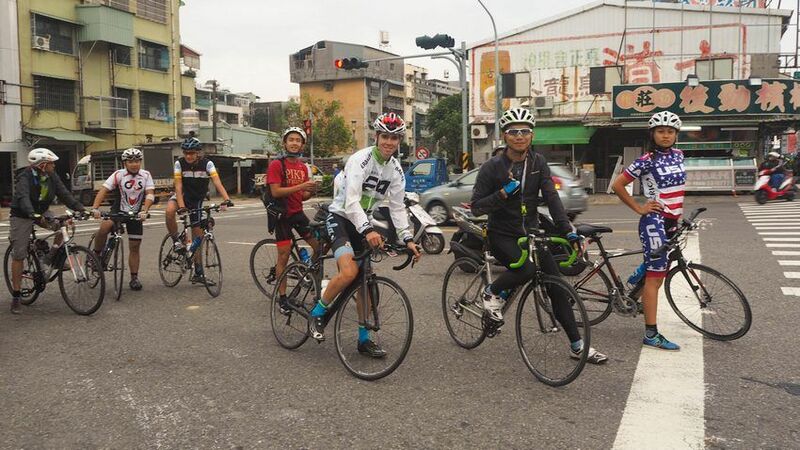 What should you expect from the eighth day of Cycling around Taiwan? Try to leave Taichung before the traffic gets heavy. 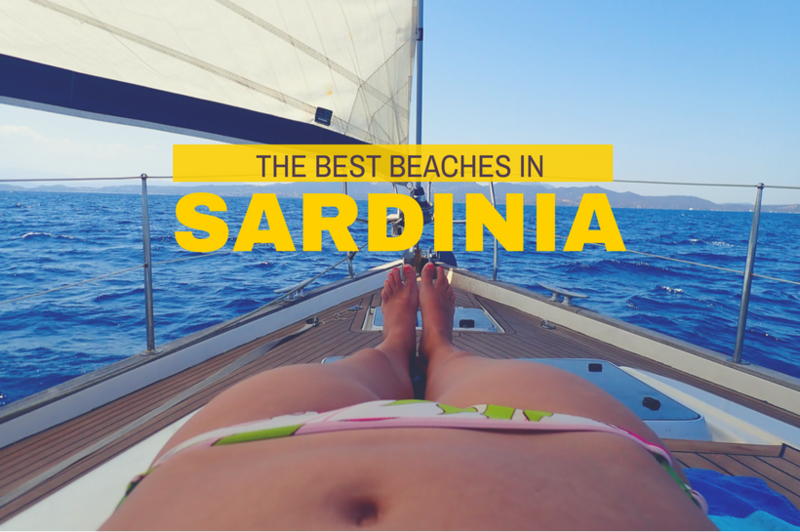 Once you leave the city the route travels along a nice coastal road and the landscape is dotted with windmills. It’s quite a pretty region to cycle through. As long as you can handle the distance, day 8 is manageable. It’s definitely one of the easiest days. 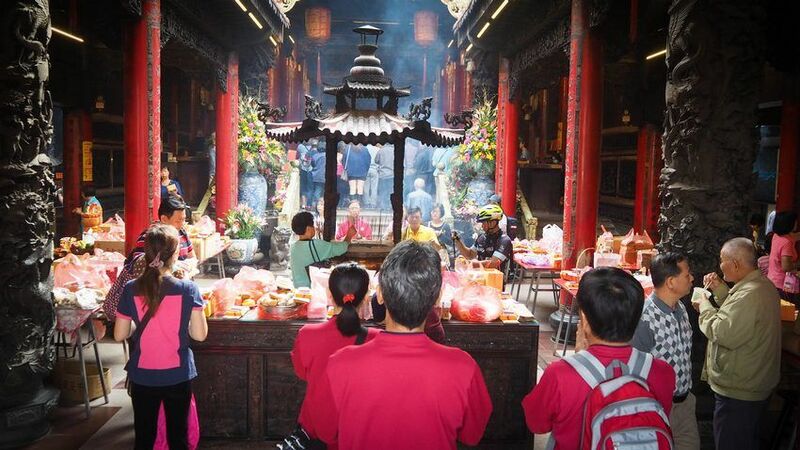 It’s possible to arrive quite early: you should definitely try to arrive with enough time to have a look around the destination – the city center of Hsinchu is quite pleasant and there’s a popular night market adjacent to the City God temple. There are plenty of accommodation options for all budgets. We stayed in Howard Hotel. 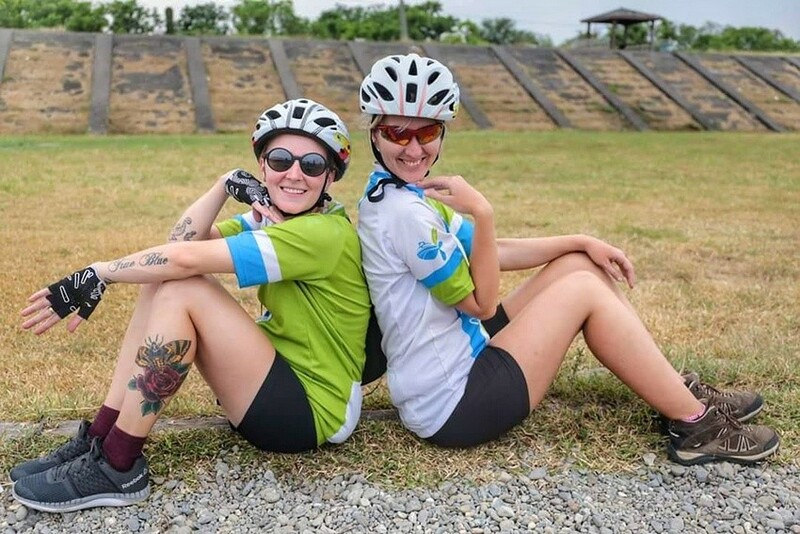 What should you expect from the final day of Cycling around Taiwan? After cycling along the mainly flat west coast, the last part turns out to be hilly again. 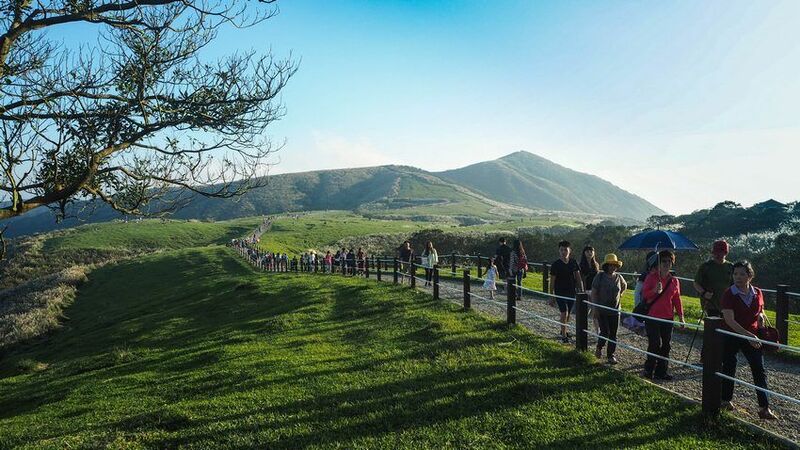 Just keep this in mind – the more rolling hills you encounter, the nearer you are to Taipei. Some of them are pretty steep, but just for a short distance. On Day 9 the scenery turns very green and jungle-like. Once you see a giant cemetery featuring large tombs on the mountain, you are just few kilometers away. HAVE YOU EVER DONE A BIG CYCLING TRIP? Although I already had a multi-day cycling experience in Spain, where I cycled from the Pyrenees to Costa Brava in 5 days, it cannot compare to 900 kilometers in Taiwan. As a leisurely cyclist, I was not quite sure I could actually handle it. And yes, there was a lot of pain involved. Tell me: would you do something crazy like that? Or maybe you’ve already done it? Combining public transportation and/or bike rental can easily make your trips in Taiwan joyful. 20km a day you can actually enjoy more local experiences. 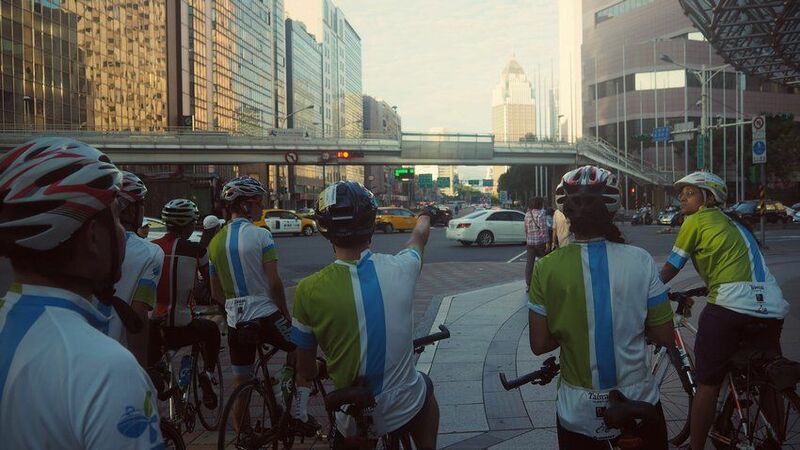 Actually, I lived in Taiwan for two years so I just revisited some of the trips during my cycling trip. Anyway, for newcomer to Taiwan it could be really good to slow down as you say! I am with the 20k a day lady above! I can’t imagine cycling so far every day – but I do think a bike is a great way to see the country properly! You are right. Bike is slower than a car and faster than walking. Wow, that is some serious cycling you’ve done. Did you find nine days was enough to see all the things you wanted? Or was 100km a day bit too much, lovely photos and congrats on what must have been an enduring trip. It was way too much:) Better to do 50 km a day I think! Wow, what an incredible adventure! Lucky you! You saw the entire country while biking around. Wow! That’s a lot of cycling, isn’t it? Some very scenic routes along the way, specially the coast-side and through the green mountains. Hi Punita, yep Taiwan has some awesome sceneries! 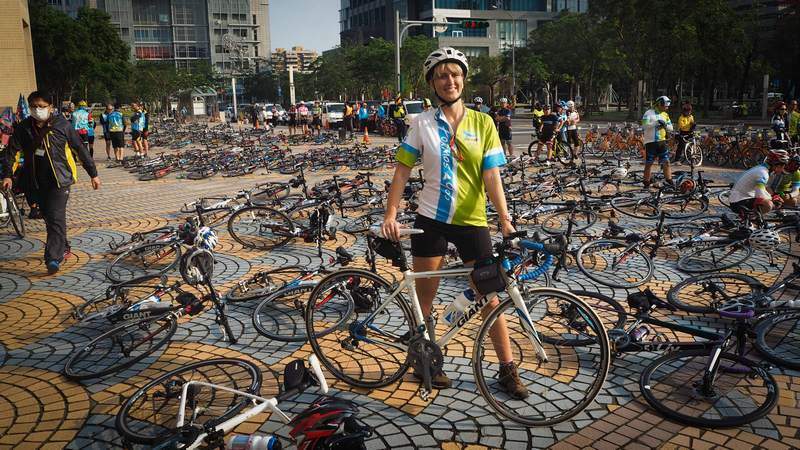 Massive congrats – 900 km over 9 days in an incredible achievement, and what a way to experience Taiwan! You’ve probably seen more of the country traveling this way than a lot of people would manage in double the time. Love how the landscapes change over the days – I don’t know what sounds more scary – the Suhua Highway or making your way through the more urban jungle with scooters and cars! This sounds exciting. I have done a small family cycling experiences. Such long distances is not yet done. Lots of preparation will be required. Well that looks like quit a trip, and a great way to see the country ! I think it is quite a brave task! Congratulations on both the cycling and the ability to see he country! Impressive! congrats! it is great what you did. 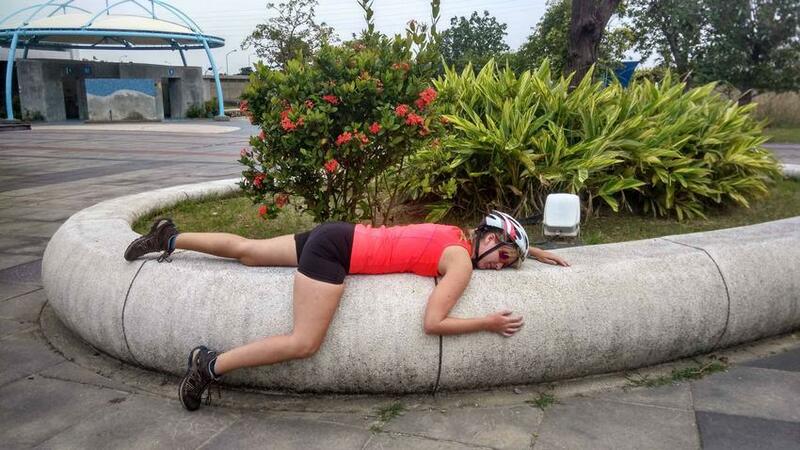 You cycled 900 Km over 9 days. 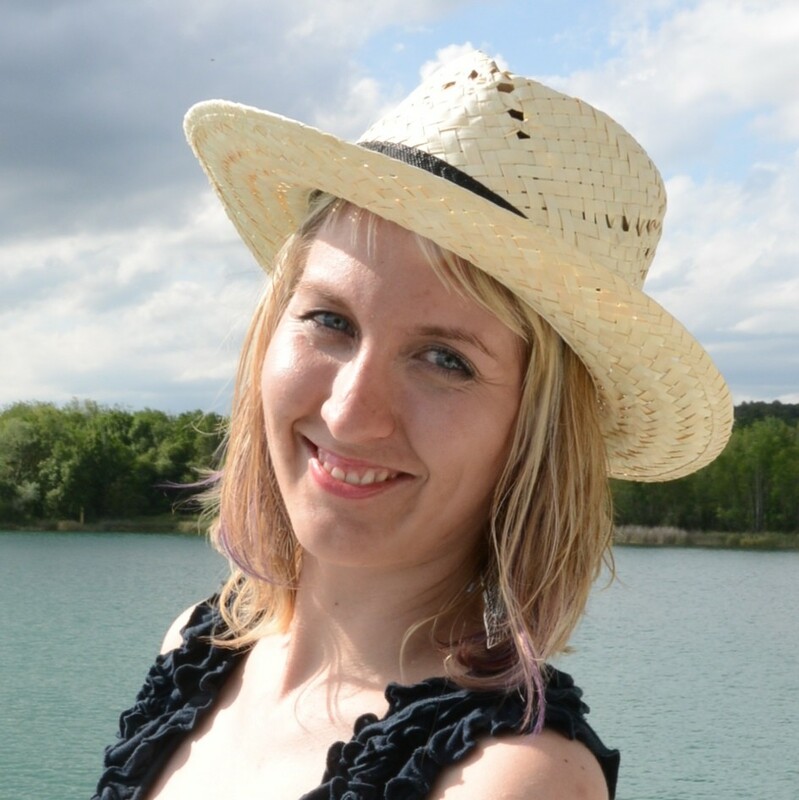 We (me and My husband) are planning to cycle almost the same distance in 10 days to raise money for children of war. What an ambitious itinerary! 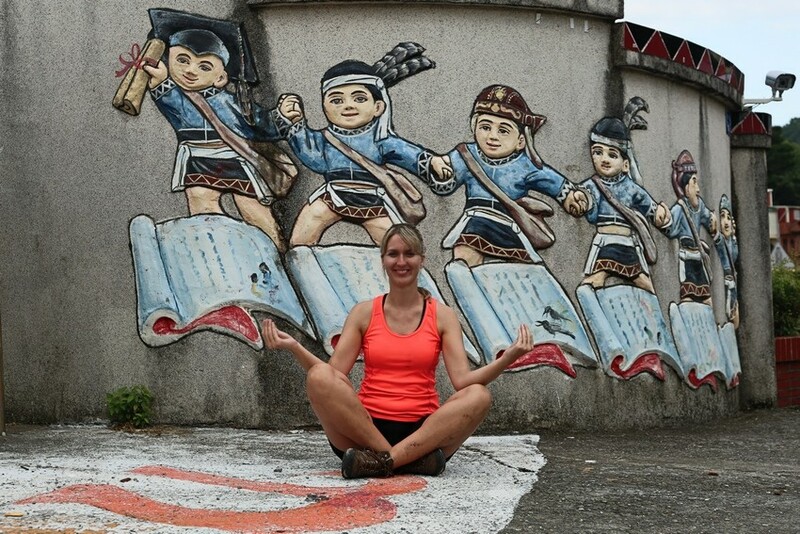 I did 13 days in Taiwan with a very similar route, but I had trains and Uber to get me around! I’ve never attempted even a two-day cycling trip, but it’s something I’d like to do someday. Any tips on getting started? Is Uber working well in Taiwan? never used it. 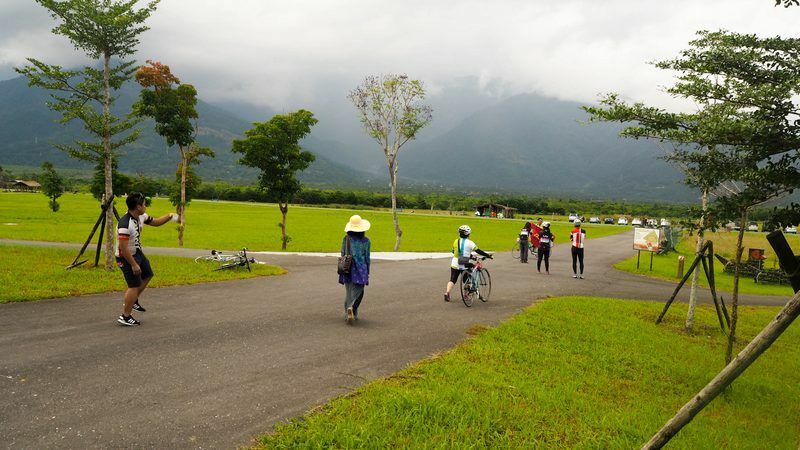 And for the cycling i – you can find 3 articles on my blog focused on Taiwan – and one is about planning in particular.